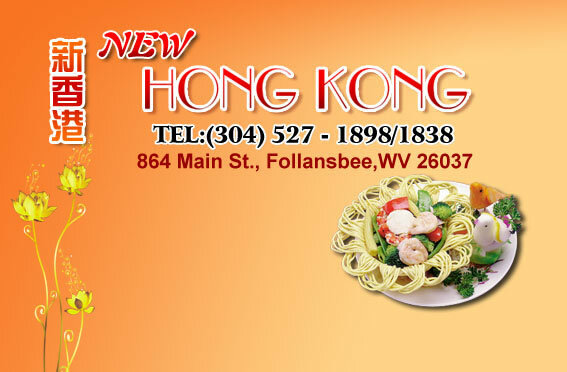 Located at 864 Main St., Follansbee, WV 26037, our restaurant offers a wide array of fine chinese food, range from Wonton Soup, Chicken with Broccoli, Steamed Dumpling to Kung Bo Shrimp, Moo Shu Pork and Ma Po Tofu. Try our food and service today. Come in for a Chinese Lunch Special or during evenings for a delicious Hunan or Szechuan dinner. You can also online order your favorite Chinese food for take out or catering. 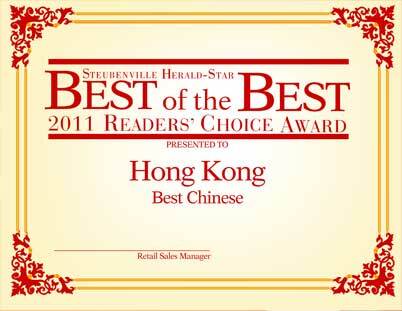 Our goal at new Hong Kong Chinese Restaurant, Follansbee, WV is to provide an unforgettable dining experience for all our patrons.